I LOVE this album. It surprised me, as their previous two didn't do anything for me. 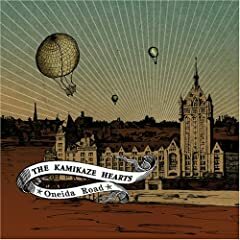 I had never heard anything by them before, but the reviews intrigued me, so I bought it via eMusic. I like it a lot--I hear a definite Replacements vibe. Finally got around to picking up My Morning Jacket's new live double-CD. Sounds terrific, as expected. I also have tickets to see the band in Milwaukee on November 21. I just got the DVD in the mail. I downloaded the MP3s and it sounds great. I still haven't gotten around to downloading the tracks, but plan to soon. Califone - Roots & Crowns. 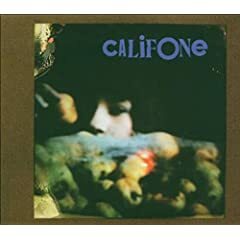 My first exposure to Califone, and I can't stop listening to "Chinese Actor." After hearing good things about them for a long while, I finally decided to check out Dr. Dog. I wonder whether that title alludes to Daniel Quinn and Ishmael? And back to The Hold Steady... wow, this new album has really grabbed me. There's not a poor track on it, but I especially dig "Stuck Between Stations," "First Night," Party Pit," and "Massive Nights." 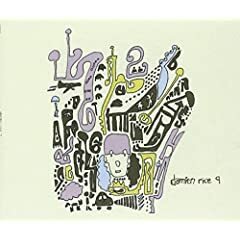 Damien Rice- 9. Another good CD from Rice. On a first listen basis, I feel "O" had more of an impression on me, but I really enjoy this album so far. The last track is quite odd being 21:54 long. Picked it up yesterday--at Target, of all places--and it's already quickly working its way up my 2006 favorites list. I'm a sucker for strange distortions and noise and dissonance that never quite forsake melody. Can't get enough of "Tonight," which has all kinds of engrossing sound layers. 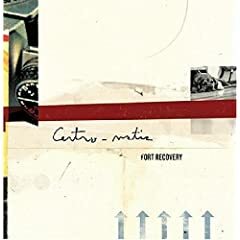 My introduction to Centro-Matic, and I'm already hooked. Love the fuzz. An acquaintance recommended this to me last week, and ever since I haven't been able to stop listening. I've been listening to the MP3s from Bishop Allen's 12 EPs released in 2006 (one for each month). Andrew Bujalski's wonderful film Mutual Appreciation introduced me to Bishop Allen, but I initially dismissed them as just another quirky indie-pop/rock band ripping off Modest Mouse, Belle & Sebastian, and other indie staples. Of course, I outgrew that shortsighted impression after listening to their debut album Charm School in full. I liked 'em. I liked 'em a lot. And the 14 MP3s selected from their 12 EPs from the past year only reinforce my admiration -- I'll have to buy the EPs soon. If you haven't heard Bishop Allen, there's a slew of MP3s online at bishopallen.com. For newbies, I recommend "Things Are What You Make of Them" (from Charm School), "Click Click Click Click" (from July), and "Clementines" (from October). I am not a shill, honest. Mr. Beltmann, did you take a listen to that unmixed version of my CD yet? No... I had some computer trouble a few weeks ago and I think your email with the link went MIA. Can you send it again? Sure. I'll just re-upload the newly mixed version and send it to you.